Reference & Distance Services Librarian Robin Ashford recently published an online guide to apps for mobile devices that help with doing library research and other academic work. Search for and read articles on your mobile device from our popular EBSCO databases. 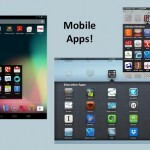 — After installing the app on your device, it must be authenticated. 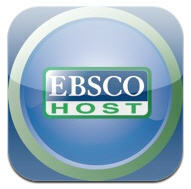 Follow the instructions from the link to authenticate the EBSCOhost app. For iPhone/iTouch, iPad and Android. Free. The guide homepage contains a feature for users to recommend additional apps, as well as Robin’s contact information.